The impact on the developing brain is also of great concern. Brain imaging studies of adolescents who began smoking at a young age had markedly reduced activity in the prefrontal cortex of the brain, an area critical for a person’s cognitive behavior and decision making, leading to increased sensitivity to other drugs and greater impulsivity. While cigarettes include numerous other toxic chemicals that may contribute to these effects, other research on nicotine and brain development demonstrate that the nicotine is probably the main cause. The amount of nicotine in one juul pod is equivalent to a pack of cigarettes. Since teens often use multiple pods in one sitting, they can unknowingly become exposed to unsafe levels of nicotine that can have immediate and long-term health consequences. 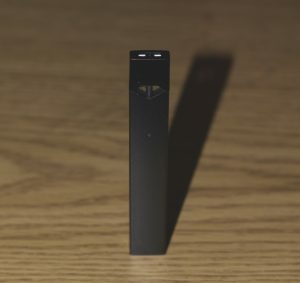 In 2016, the Food and Drug Administration (FDA) was given the authority to regulate e-cigarettes such as juul but has allowed e-cigarette manufacturers to postpone their applications for FDA approval until August 2022. Meanwhile, these harmful devices can remain on the market and continue influencing adolescents to become addicted to nicotine.